Helpline referrals have increased by 58 per cent. NSPCC helpline referrals to social services and police in Warwickshire has increased by 58 per cent in the last four years. The NSPCC charity, which is fighting to end child abuse in the UK, has recorded an increase in referrals in the county. New figures from the free 24-hour helpline showed that 336 contacts were passed on in 2015/16 compared to just 213 in 2012/13. The concerns that were raised by members of the public who contacted the helpline, ranged from those worried about young people who were victims of sexual abuse to children living in squalid conditions. Members of the public also contacted the helpline because of fears ranging from starving toddlers to fears about youngsters being thrust into slavery. The charity said the new figures reflected an increasing refusal for the public to turn a blind eye when it came to the welfare of children, and reflected a growing demand for advice and action to prevent child abuse. The NSPCC helpline figures for Warwickshire show that contacts from the public concerned about neglect of a child, which were referred, rose from 84 in 2012/13 to 146 in 2015. The figures also show that referrals because of physical abuse rose from 33 in 2012/13 to 58 in 2015/16. The new findings also showed that the number of contacts passed on because of emotional abuse increased from 33 in 2012/13 to 47 in 2015/16. In the last two years the helpline has also referred two reports of slavery to local authorities. 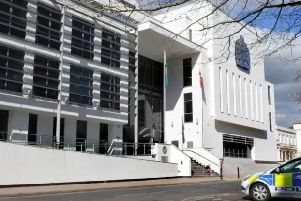 Sandra McNair, NSPCC head of service for the Midlands, said: “These figures reveal a nation that is more alive to the issues of child abuse following recent high profile scandals and the ongoing investigation into non-recent child abuse. “They have become increasingly concerned and aware of the tell-tale signs of abuse and neglect in children and our helpline is an invaluable service for people worried about the safety of a young person.